The concept of a “unicorn” emerged in the industry around the same time. A “unicorn is a rare person who can both design and code, someone who could do it all. . As we hired more people, we hired more “unicorns” until it seemed like we. had an office full of unicorns. 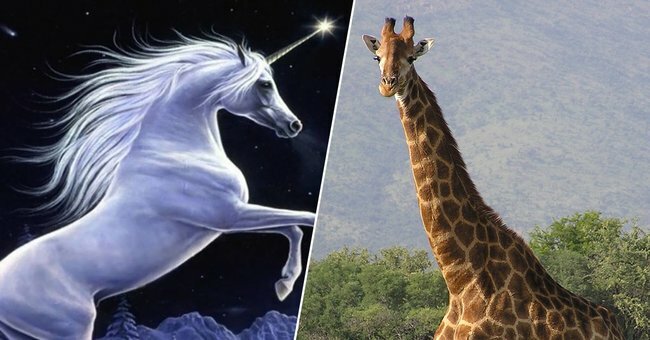 I came across a tweet recently talking about how ridiculous giraffes seem compared to unicorns, and it was an ah-ha moment. Imagine describing a Giraffe to someone from a different planet using words only. Pretty difficult, you would probably end by saying, “You just have to see it.” Describing a unicorn wouldn’t be too difficult… 4 legs, roughly this tall, runs fast, with a horn on its head. What makes Gaslight different from X company? Why would we work with you when we can outsource? These lead into my 30 second elevator pitch that starts a little something like this: “Gaslight is a custom software development consultancy who partners with growth minded companies looking to build software products that revolutionized their industry…” Often times I get an head tilting gaze and I can tell they are wondering — do we fit into the category of growth minded companies? What makes selling in the custom software development space so difficult, is that the idea of having a target market doesn’t exist. We have worked with the Fortune 100 down and a two person start-up, so this makes delivering a one-size fits all message, that also allows you to differentiate yourself from your competition, really challenging. So instead, we try to welcome people into our “HOME” (office). Bringing a prospect in for a tour allows us to not only tell them what we do, but show them how we do it, in person if possible. This includes introducing them to our original founders, designers, developers, and of course the office dog; the things you don’t get when you outsource, or work with a remote team. The personal touch and the feeling you get when you step off the elevator on the 5th floor is special, it’s unique. Walking down the cherry red staircase and seeing a wall filled with childhood pictures of our employees gives you that comfortable “Grandma’s House” feeling. At the end of the day our strategic advantage is our people, our space, and our culture. We understand that what really matters is delivering an outstanding solution that helps our partners achieve their goals. This is where we put in the extra work at Gaslight. We over-communicate and over-strategize to make sure we are building a solution that delivers maximum value as early as possible. Mix that with a business team who is constantly evaluating how our solution is aligning with your business objectives, and you’ve got a sure plan. That’s why I think Gaslight’s official mascot should be a giraffe instead of a Unicorn. Gaslight may be a little difficult to describe to someone, but they get it when they see it.